Entries close for the ABIA Book Awards 5pm Monday 11 February. You have just over one month to complete your entries. See the Nominations page for award category descriptions and the Nominations platform to nominate. 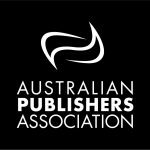 Once nominations are closed, an ABIA longlist will be decided by the largest Academy ever, comprising more than 220 industry professionals, before an expert panel meets to produce the much-anticipated shortlist. The winners will be announced at the awards ceremony held at the International Convention Centre Sydney, Thursday 2 May 2019. Note: the Business and Audiobook Award nominations will open shortly. Sign up for updates.